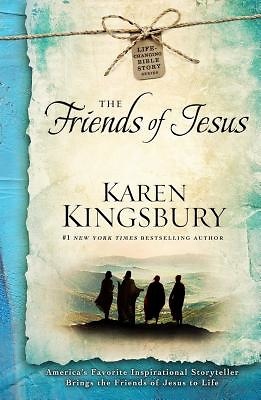 America's favorite inspirational novelist and #1 New York Times bestselling author offers a richly told tale about six of Jesus' closest friends and companions, bringing biblical truths to life in this captivating continuation of her Life-Changing Bible Study series. In our everyday lives, friends are the people whom we spend the most time with, go through struggles with at times, and who know us best. Each of Jesus' friends--Peter, John, Matthew, Judas, Mary Magdalene, and Lazarus--traveled with Jesus and were part of His daily ministry, and each has a compelling story to tell. There were some who would question or doubt Him...and one would even betray Him. Kingsbury brings these fascinating personalities to life in ways that will not only help bring you closer to the truths found in Scripture, but also to Christ.